You want entertainment, but you're over your budget already..? Don't have time at your party venue for an entertainer? The BEST PART...you get to choose how little/much to spend. The more elaborate the designs, the more expensive. But we've got designs as little as $2.00 each. Feel free to mix and match. Want a particular figure you DON'T see...Let us know so we can give you some options. ***Pre-Twisted Balloons will require a minimum of 72 hours notice. 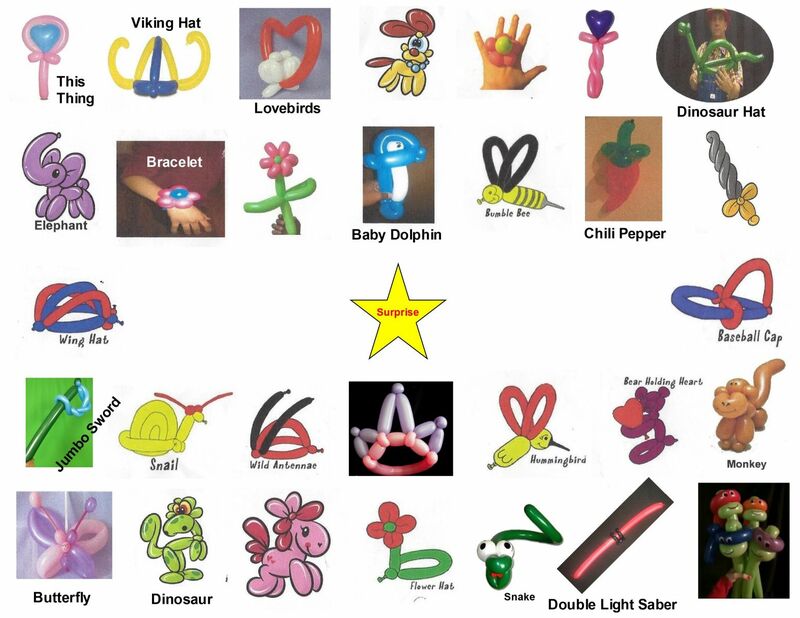 ***Minimum of $25 order for pre-twisted balloons required.. Here are examples of our $3.00 variety..